It’s bigger, longer, and more powerful. It has a stiffer body and a third row of seats. There’s more ground clearance and plenty of new safety features. 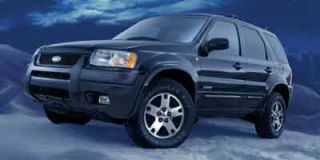 But is that enough for the 2002 Ford Explorer to remain the nation’s best selling sport-utility vehicle? When you’ve been number one for a full decade, selling a combined total of 3.5 million vehicles, you take a lot to risk refreshing a product like the Explorer. Indeed, the market has changed a lot since Ford’s popular, compact SUV first hit the road. 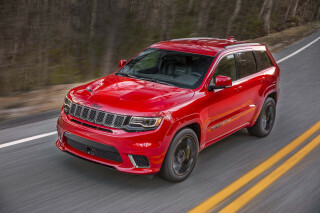 There are roughly 40 sport-utes vying for the heart, mind and pocketbook of the American consumer, more than double the number of SUVs on the market when Explorer first appeared. And the segment is going to grow increasingly crowded, Ford officials acknowledge. By mid-decade, there could be as many as 70 true utes and SUV-like crossover vehicles, including Ford’s own new Escape. So, when it came time to work up a replacement for the current-generation Explorer, the Ford team knew it couldn’t compromise any of the key details. They only had to look at what happened when the 1996 Taurus debuted. With a quirky design that compromised key features, such as interior space and rear seat access, sales all but collapsed. 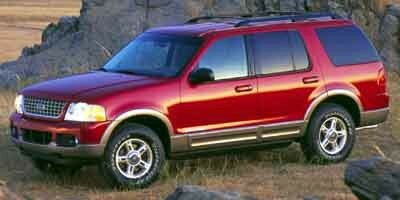 In a daylong background briefing, Ford designers, engineers and marketing managers made it clear they weren’t going to let that happen with the 2002 Explorer. At first glance, you might not notice much difference with the ’02. The exterior lines are a little cleaner and more rounded. There’s less of a bulge over the rear seats, but on the styling front, Ford followed an evolutionary, rather than revolutionary path. But a closer look will nonetheless reveal some significant changes. The 2002 is two inches longer, and has a 2.5-inch wider stance. It’s got higher ground clearance for the small percentage of buyers who actually do go off-roading. Step-in height has been lowered about an inch. And to further improve ingress and egress, the doors are a bit wider. 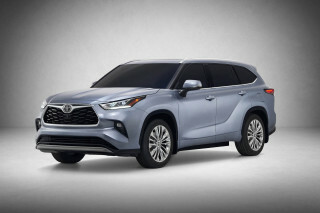 Open them up, and you’ll discover that there’s an optional third-row bench seat, letting buyers choose between five or eight-passenger models. 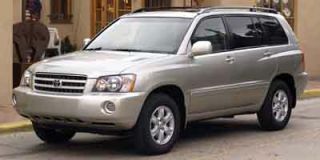 In the five-passenger version, the cargo floor has been lowered seven inches. Both seating configurations have been made possible by the switch to an independent rear suspension, or IRS, system, which Ford engineers claim will offer the added benefit of improving Explorer’s ride and handling. 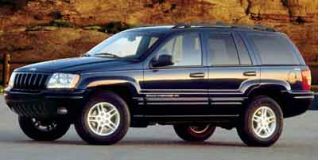 Compared to the nimble Jeep Grand Cherokee, the Explorer has traditionally been a bit clumsy and truck-like. In developing the new IRS, Ford engineers came up with a novel approach, putting key components through, rather than under the rear frame, making it possible to get the maximum additional space for the rear seat/cargo compartment. 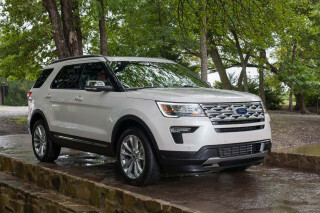 There will be two engine packages available for Explorer buyers, including the currently offered, 210-horsepower 4.0-liter V-6. It comes with either a five-speed automatic transmission, or a new five-speed stick. But the big news in powertrain is the arrival of a 4.6-liter V-8. This is a single-overhead cam, all-aluminum version of the Triton engine offered in Ford’s passenger car lineup. It’s smoother and more powerful than Explorer’s old 5.0-liter V-8, and it boosts the pony count from 215 to 240. While we will have to wait until late in the year to get our first ride in the new Explorer, Ford engineer Ray Nicosia insists that a key mandate for the new model was improving noise, vibration and harshness levels. "Our objective was not to be the quietest vehicle in the segment. Our objective was to have the best sound quality in the segment." A series of on-the-road recordings show that the emphasis was on removing brash, whiny sounds, while actually emphasizing that low-frequency roar that makes us feel we’re getting plenty of acceleration when the pedal’s on the floor. Just about everywhere you look you can see Ford’s attention to detail. The interior is more refined, gauges easier to read and controls moved to more ergonomically correct locations. During the daylong presentations, one heard the word, "refinement," over and over again. There have been plenty of changes in the SUV market since Explorer first arrived. The market has gotten bigger, and more fragmented. 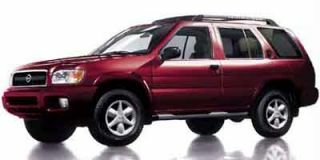 But perhaps the most significant change involves the type of people buying SUVs. Once upon a time, they were mostly a macho male group, outdoorsmen or workers who need something rugged and utilitarian. Today, there’s an ever-increasing female owner body. 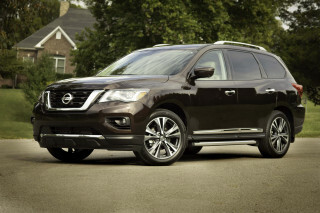 Many have switched to sport-utes to shed the "soccer mom" image of the oft-maligned minivan. 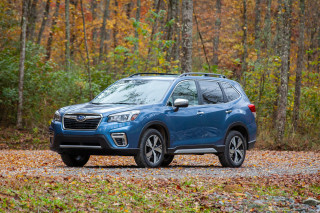 The rear hatch should prove appealing to those buyers, male or female, who gather their food at the grocery store, rather than out in the woods. The upper glass has been significantly enlarged. So you can now pop it open, rather than the full hatch, and easily drop in your grocery bags without the risk of them falling out. 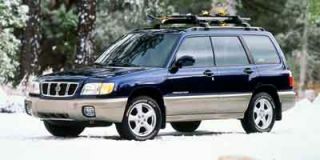 Safety was another key factor in the 2002 redesign that should appeal to soccer moms — and pops — alike. 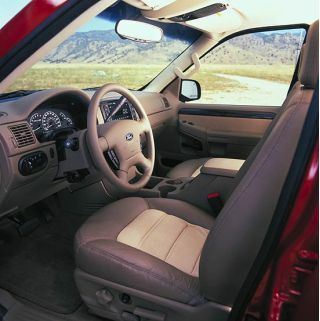 Upon launch, the new Explorer gets a second-generation, reduced force airbag, as well as optional side-curtain airbags. The 2002 also gets power adjustable pedals, which can move fore or aft roughly four inches, allowing small drivers to sit further away from the wheel, again reducing the chance of inadvertent injuries in the event of an accident that deploys the truck’s airbags. 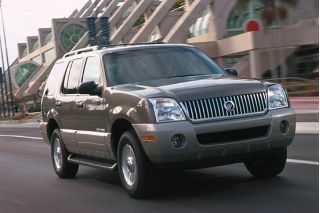 Mercury’s Mountaineer could be its last new model for some time, but Ford’s pitching it as a more upscale companion to the ’02 Explorer.